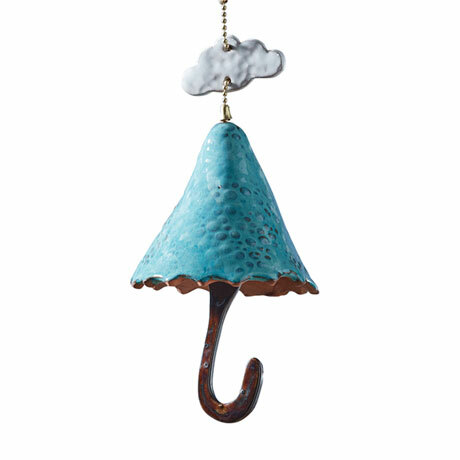 Invite only gentle rains into your garden. A small rain cloud floats over a sky-blue umbrella; a curved handle hangs below. 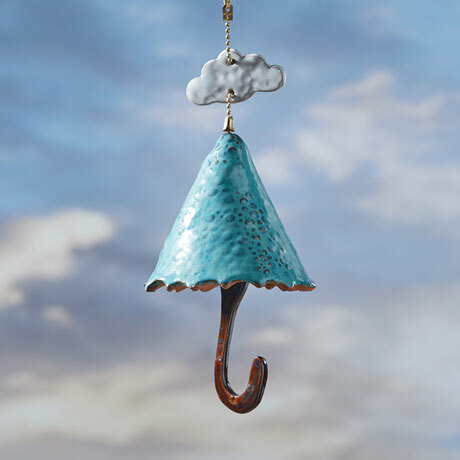 Handcrafted in Ontario from weatherproof stoneware and brass, bell dings softly when the wind blows. About 5" diameter, 12" long. Comes with a springy 4" cord.